In a press event last month at DC’s new offices in Burbank, California, headhoncho’s Jim Lee and Dan Didio approached the comic book press (like comicbookresources.com for example) to reveal more information about the upcoming changes to the company’s publishing line. Changes which will bring a lot of new books to the table, after the Convergence event in April-May. 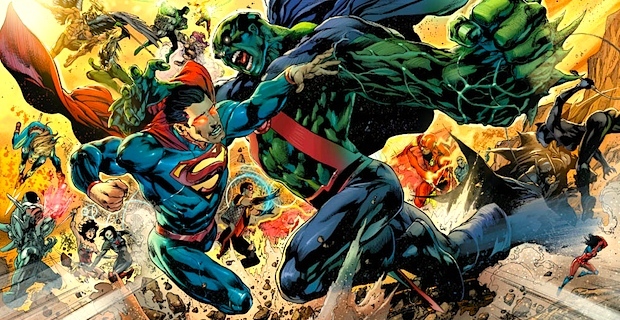 DC will even drop off its current name “The New 52″, but keeps the stories of the past intact and mostly in continuity. It is not a reboot, folks. A lot of interesting points about creativity, diversity, getting new creators and new flavours for the DCU are talked about in the interview, which you can read in full over at CBR. But today I want to focus on a few things that have been said and maybe talk about what it could mean for the future of DC Comics and possibly even the comics industry in general: the over-reliance on continuity and big events in superhero comic books. Continuity is all well and good, but it can stifle the stories that the creators are able to tell with the characters in that continuity. That doesn’t mean it should be abandoned entirely, but maybe a focus on the overarching canon is a better idea, to leave more doors open for story and characters. 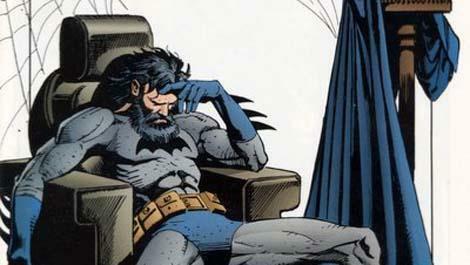 I think most readers know the difference between the two, but just to speed things up I will try to explain it really quick on a surface level: For example, canon for Batman is that his parents died, Wayne Manor, Arkham Asylum, his relationships with villains like the Joker, or allies like Gordon and Alfred, how a certain character behaves normally (all of this established in the BIG and important landmark stories) and so on, while continuity is every single thing that happens in any single issue that is considered to be in continuity and how it relates to what follows after it. With that said, a certain level of continuity is important to make all those smaller stories seem like they are part of one giant overarching tale, even if it isn’t really the case. Sometimes we get the best stories out of runs that are considered Elseworld or something like that (Dark Knight Returns, Kingdom Come, All Star Superman), which all aren’t in continuity with other stories of the same characters. Even stories that are considered to be in continuity, but where those shackles are somewhat loosened often surprise us with unconventional twists and turns that would not have worked out if the creators were beholden slavishly to the things that came before. So to make such a big deal out of “How Batman could have had 5 Robins in those 5 years of time? !” in the New 52 instead of just rolling with it and letting good stories be told definitely hampers unbound storytelling and I think it is great that DC is seeing that and are working towards a little more of a stand alone approach of just great stories… which leads me to the next big thing. That is a word that get’s tossed around by comic book journalists all the time, since DC and Marvel have started to follow up mega event with mega event. As Dan Didio said, events are mostly marketing, which doesn’t mean they aren’t good stories. I enjoyed more events in the last decade than I haven’t (Civil War, Siege, Avengers vs. X-Men, Infinity, Identity Crisis, Finals Crisis, Blackest Night, Forever Evil all have been very good stories worth reading and doing) and that is not the big problem with them. The real problem is that those big events drag all other series into them and force them to tie in, which is a big roadblock for creators to tell the stories they want. Apart from that, since the events follow each other so closely (DC has at least one every year, with Marvel approaching 2-3, with Original Sin, Axis and Spider-verse all hitting within months of each other) the normal books barely can fit longer story arcs between them, so that the lives of those characters have become life shattering event after life shattering event. Just count how often a solicit for any book used the words “changed forever” in the last year! Things are getting crazy and the overall quality of stories suffers for it. DC Comics is acknowledging that and will actively be trying to change that from June onwards. To give creators more freedom to **tell their own stand alone stories ** and to give big crossovers events the gravitas back they once had, is a great idea DC should be applauded for. 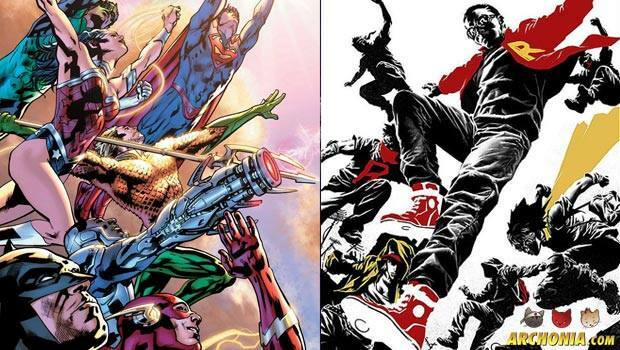 All of this makes me really excited for DC Comics future, starting in June. I have been a livelong fan and already enjoyed most of what they did with the New 52, but it is still great to see the publisher is willing to learn from the past and is ready to amp up creativity to keep readers engaged with great stories and characters! I really hope that this may set a new trend in Comics in general, to attract readers by virtue of great stories and less of those media stunts like killing of characters or mega events. In an industry that is fighting for every reader with movies, videogames and whatnot I think it would be healthy to focus on what has been good about this in the first place: great characters with great stories. 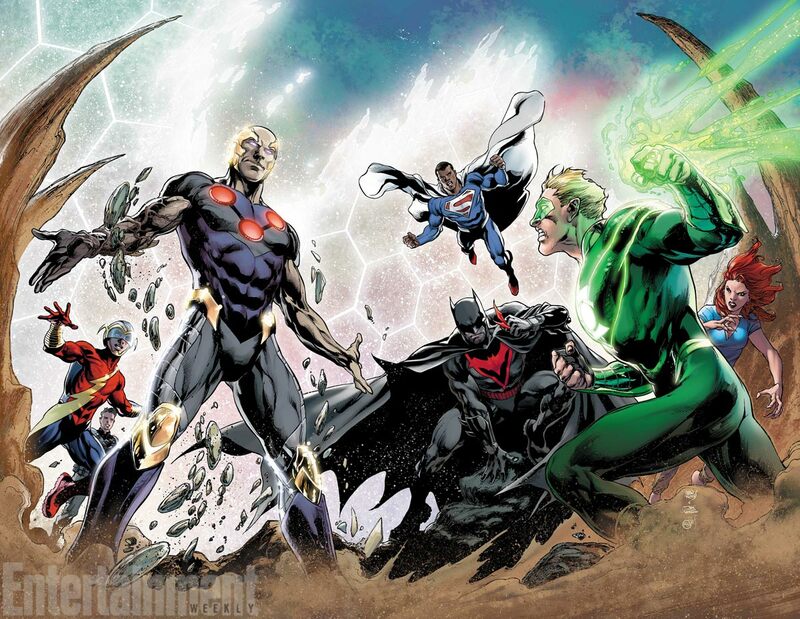 Are you excited for Convergence and the new direction of the DCU afterwards? Do you think more stand alone stuff is great or do you want more big events?